Does water temperature influence the distribution and elimination of perfluorinated substances in rainbow trout (Oncorhynchus mykiss)? Perfluorinated and polyfluorinated substances (PFASs) are widely found in freshwater ecosystems because of their resistance to degradation and their ability to accumulate in aquatic organisms. 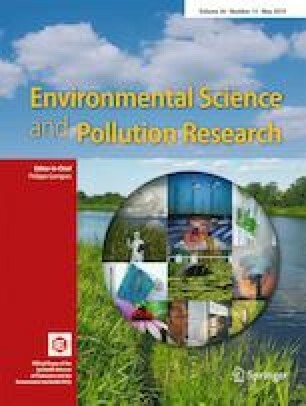 While water temperature controls many physiological processes in fish, knowledge of the effects of this factor on PFAS toxicokinetic is still limited. This study presents experimental results of internal distribution and elimination rates of two perfluorinated acid compounds, namely perfluorooctane sulfonate (PFOS) and perfluorohexane sulfonate (PFHxS) in adult rainbow trout (Oncorhynchus mykiss) exposed to three temperatures. Dietary exposure experiments were conducted at 7 °C, 11 °C, and 19 °C and liver, blood, muscle, brain, and kidney were sampled for analysis. PFOS concentrations were comparable to or exceeded those of PFHxS, while PFHxS was eliminated faster than PFOS, whatever the temperature. Internal distribution changed significantly for both substances when fish were exposed to a range of temperatures from 7 to 19 °C. Indeed, PFOS and PFHxS relative distribution increased in blood, liver, and brain while they decreased in muscle when the water temperature rose. The water temperature variation affected the elimination half-lives, depending on the substances and organs. The online version of this article ( https://doi.org/10.1007/s11356-019-05029-w) contains supplementary material, which is available to authorized users. We thank Emilien Lasne and Laurent Espinat (INRA Thonon-les-Bains research station), Charline Gesset, Patrick Chevre, and Louis Jacob (Irstea, St-Seurin-sur-l’Isle experimental station) for their kind and active support during the experiments, as well as Ina Goeritz, for providing her experimental data and metadata. We also thank Linda Northrup (English Solutions, Voiron, France) for copyediting the manuscript. The experiments, including the analyses, were funded by the Rhone-Mediterranean and Corsica Water Agency. The Rhone-Alpes Region provided a doctoral fellowship grant for Alice Vidal. None of the funding sources were involved in the study design, in data processing, or in the decisions related to manuscript writing and submission. Study design, experimental and analytical work, and data processing were done by the authors, in particular Alice Vidal, with support from technical staff.